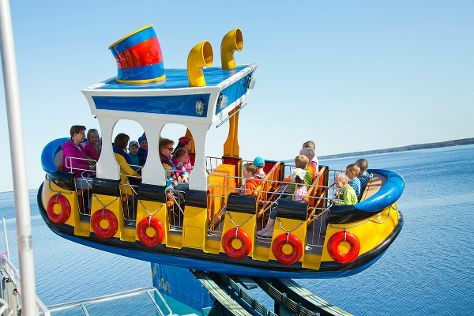 On the 2nd (Tue), laugh and play at Sarkanniemi Theme Park. Keep things going the next day: take in the architecture and atmosphere at Iglesia Ortodoxa San Alexander Nevski y San Nicolas, contemplate in the serene atmosphere at Tampere Cathedral, then tour the pleasant surroundings at Rauhaniemi Beach, and finally enjoy breathtaking views from Pyynikki Park and Observation Tower. To find maps, ratings, traveler tips, and more tourist information, refer to the Tampere online vacation planner . Detroit, USA to Tampere is an approximately 17-hour flight. The time zone changes from Eastern Standard Time to Eastern European Time, which is usually a 7 hour difference. Traveling from Detroit in July, things will get a bit cooler in Tampere: highs are around 70°F and lows about 52°F. Wrap up your sightseeing on the 3rd (Wed) early enough to travel to Rovaniemi. On the 4th (Thu), don't miss a visit to Marttiinin Wanha Tehdas, take an exotic tour of a safari tour, then make a trip to Santa Claus Office, and finally get in on the family fun at Santa Claus Village. Get ready for a full day of sightseeing on the 5th (Fri): make a trip to Lordi's Square, take an in-depth tour of Arktikum, then explore and take pictures at Lappi Areena, and finally have fun at Snowman World Igloo Hotel. For photos, where to stay, and tourist information, you can read our Rovaniemi trip itinerary maker tool . You can do a combination of train and flight from Tampere to Rovaniemi in 5 hours. Alternatively, you can fly; or drive. In July, daytime highs in Rovaniemi are 67°F, while nighttime lows are 52°F. 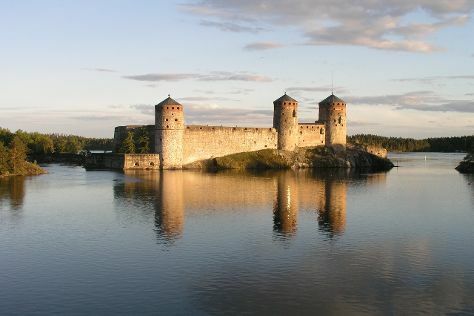 Finish your sightseeing early on the 5th (Fri) to allow enough time to travel to Savonlinna. Start off your visit on the 6th (Sat): step into the grandiose world of Savonlinna Cathedral, pause for some photo ops at Savonlinna Herostatue - The Hero's Grave, pause for some serene contemplation at Pikkukirkko, appreciate the history behind The Spirit of the fortress, then appreciate the history behind Olavinlinnan Musta Passi, and finally see the interesting displays at Savonlinna Provincial Museum. For reviews, ratings, maps, and other tourist information, read Savonlinna road trip planning website . You can fly from Rovaniemi to Savonlinna in 6 hours. Other options are to do a combination of flight and train; or drive. July in Savonlinna sees daily highs of 69°F and lows of 53°F at night. Finish up your sightseeing early on the 6th (Sat) so you can go by car to Helsinki. Pack the 8th (Mon) with family-friendly diversions at Linnanmaki Amusement Park. Next up on the itinerary: brush up on your military savvy at Fortress of Suomenlinna, don't miss a visit to The Esplanadi Park, take an in-depth tour of Seurasaari Island and Open-Air Museum, and admire the masterpieces at Kansallisgalleria. To find more things to do, where to stay, reviews, and tourist information, you can read our Helsinki trip builder site . Getting from Savonlinna to Helsinki by car takes about 4 hours. Other options: fly; or take a train. In July, daily temperatures in Helsinki can reach 71°F, while at night they dip to 55°F. Finish up your sightseeing early on the 10th (Wed) so you can travel back home.